Dorayaki is a Japanese traditional confection having a filling of sweet red beans paste put in between pancake-like patties. Introduced in Japanese Anime, it is quite popular in Japan. 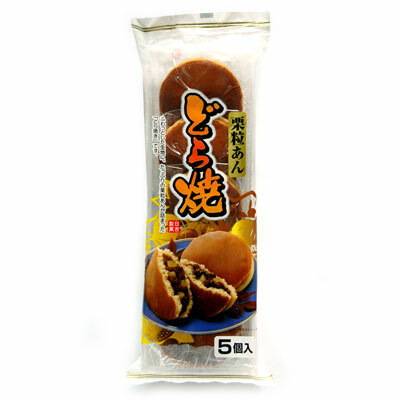 This product contains five dorayakies having chestnuts in the filling. It goes well with tea.